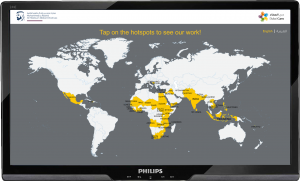 How to demonstrate the activities of an NGO with the digital tools of 2017? 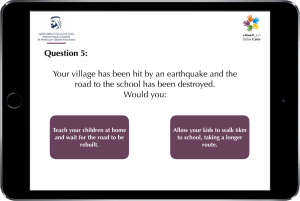 For the Dubai Innovation week 2016, Dubai Cares held an activation which at the heart, was about raising awareness towards “education in emergencies”. 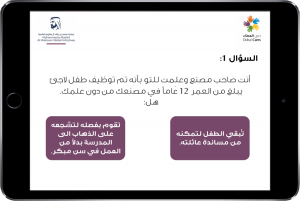 In order to do so, Dubai Cares asked us to come up with three separate interactive applications for their exhibition stand. The star of these applications was the Virtual Reality experience, which transported the user into a refugee tent built for educating children. 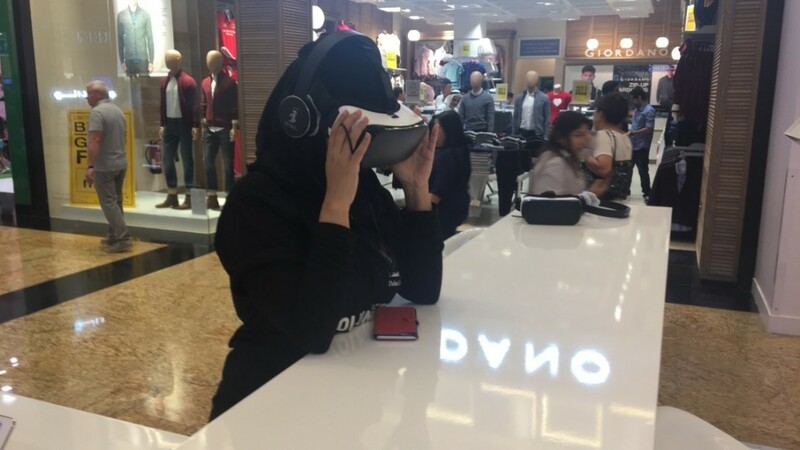 It was an Emotional and immersive experience that allowed the user to look around the tent in 360 while listening to one of the children’s story. 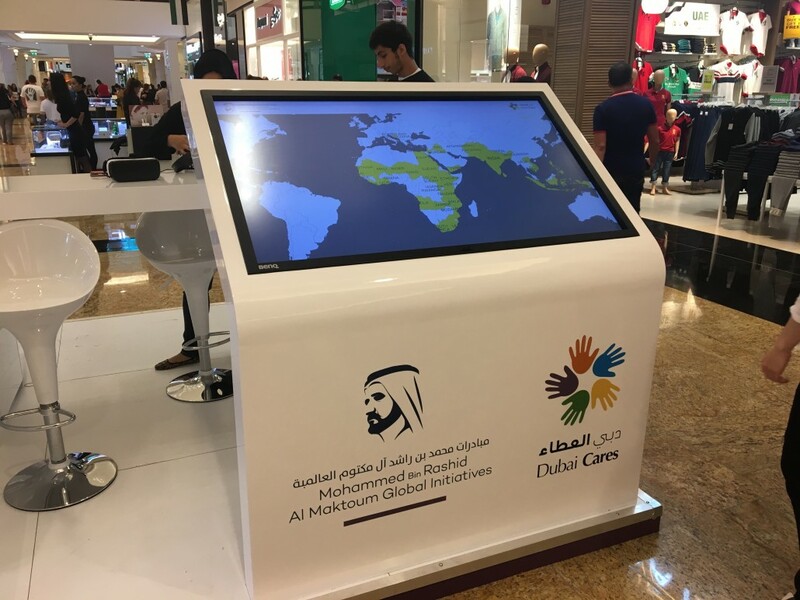 The second app we developed was a customized touchscreen application created to display Dubai Cares reach and accomplishments around the globe. Here, the user would click on a country and then get the relevant AV & text content. 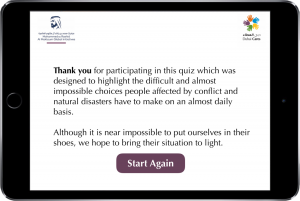 The final was the “impossible Quiz” game that asked the users how they would answer to the difficult questions many refugee families are facing.